Have you ever wished to wake up slimmer and lighter in the morning? Here are a few simple tips to wake up with a flat stomach. How many of you out there don’t feel bikini ready? The summer, though, isn’t the only time of the year when we want to feel in shape. Undoubtedly it is essential to have a healthy life style and to pay attention to what we eat in order to have a fit belly, yet with these little tips, with these 6 simple habits to adopt, waking up with a flat stomach every morning won’t be such a difficult challenge. Stomach bloating is often caused by excess gas accumulation or water retention, and people who suffer from stomach bloating often have a bloated stomach when they wake up, above all during the hot season of the year. These symptoms may be bothering and frustrating, because a bloated belly is seen as a beauty issue and we tend to cover and hide it. In this case, nutrition has a key role and it is very important to identify the problem and its causes in order to change our eating habits. If we want to have more chance to prevent our stomach from bloating, adopting these little tips could be very useful. Yogurt has several beneficial properties, yet people who suffer from stomach bloating shouldn’t eat it at dinner. Yogurt contains lactose, and sometimes even other kinds of sugar that may cause bad digestion, inflammation and bloating. It is advisable to choose sugar-free yoghurt and also lactose-free yoghurt, if you are intolerant to this substance. You may want to substitute yogurt with kefir – a fermented yogurt-like drink, extremely rich in probiotics and useful to treat digestive problems and lactose intolerance. Physical exercise helps us feel fit. Light walking, ten-minute moderate physical exercise or yoga may help us relax and improve our sleep quality. A little bit of movement can also help lose weight and make the stomach flat. It is not advisable to take heavy physical exercise before going to bed, as it can cause a significant rise in body temperature and make sleep difficult. Not only is a cold shower a valuable remedy to improve blood circulation, but also a cure-all for our belly: by lowering body temperature, cold showers trigger those mechanisms involved in body energy consumption. In other words, cold water activates the metabolism, makes us burn out more calories and helps us lose weight. Starting the day with a healthy breakfast is very important if you want to feel fit and look good. This habit helps boost metabolism, increase insulin resistance and reduce inflammation. A mix of oat, plain chocolate, walnuts, honey and cinnamon may be ideal in order to stimulate the intestine and prevent stomach bloating. You may think that cereal bars are the perfect food if you want to stay fit, yet they are not the best choice for those who suffer from stomach bloating. They often contain lactose, soy and sugar that may cause inflammation and stomach bloating. Juicing fruit and vegetables could help you achieve that flat stomach you’ve always dreamt of. Fruit and vegetables are extremely rich in enzymes, vitamins and minerals, that we need to feel healthy and fit. It is advisable to prepare them at home, instead of buying them at grocery stores. The fruit and vegetable juices and smoothies we usually buy at stores are poor in nutrients and are packed with added sugar, preservatives, colorings and other additives. 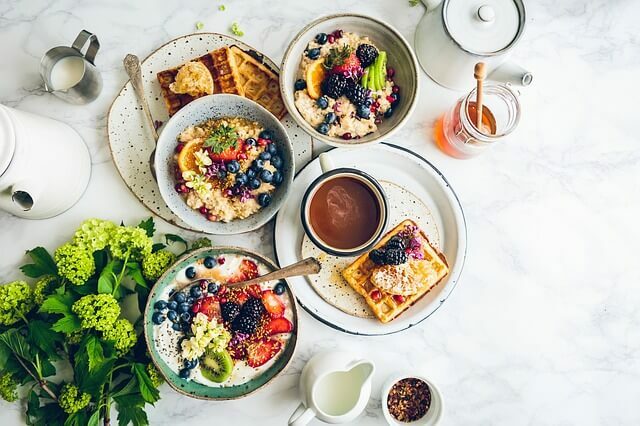 These 6 tips along with healthy eating habits (calculate your daily calorie intake HERE), regular physical activity and a healthy lifestyle will help you wake up with a flat stomach morning after morning. 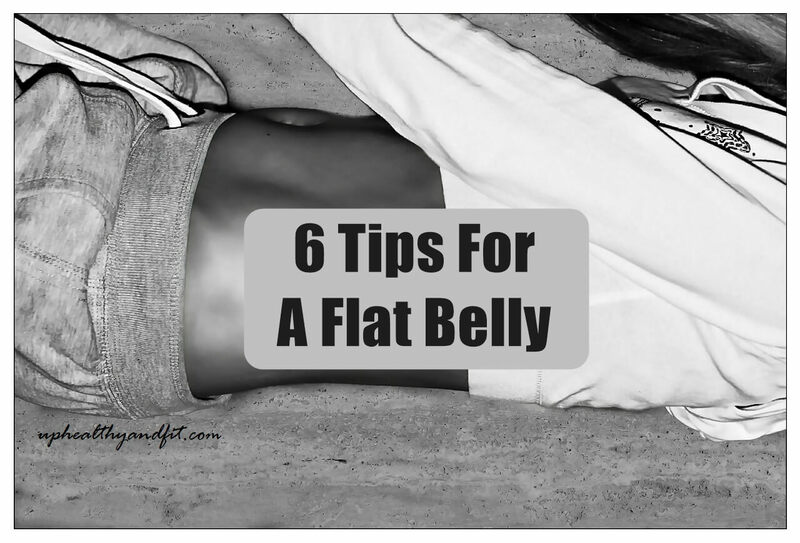 Thank you for reading 6 simple tips to wake up with a flat stomach, and if you find this article useful, please comment below and share it so other people can benefit from it as well!